The more people open their minds and observe our model, the more their eyes open and begin to see the how the world economy is interconnected. 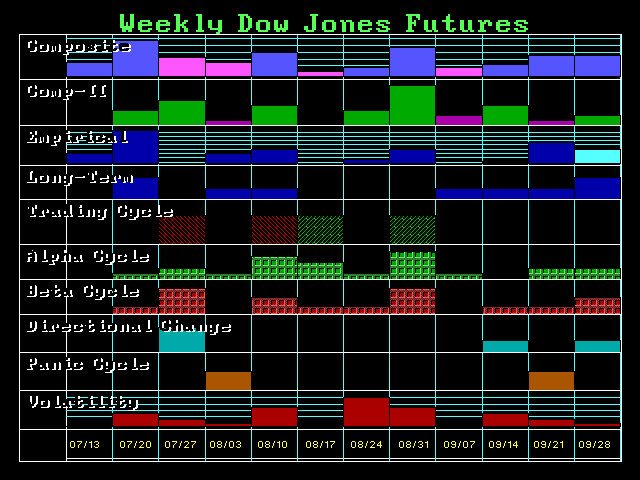 Our model on the Dow pinpointed a high for the week of July 20 with a Directional Change and a two-week trend into the first week of August. Curiously enough, gold crashed as the Dow rose and it held key support as the Dow was giving up its lunch. This is not about fundamental news. Good traders have always known to buy the rumor and sell the news, exactly as we just saw with gold and China. If the trend is bearish, good news is never good enough, and in a bull market, bearish news is disregarded. Beware of fundamental analysis who trade by short-term for it is the trend that remains your friend. The fundamentals come into play only for the long-term trends. Markets move in anticipation of what might happen even if it never materializes.